WILLIAMS, Ariz. — A theme park near the Grand Canyon designed around the "Flintstones" cartoon will now be strictly for the birds. 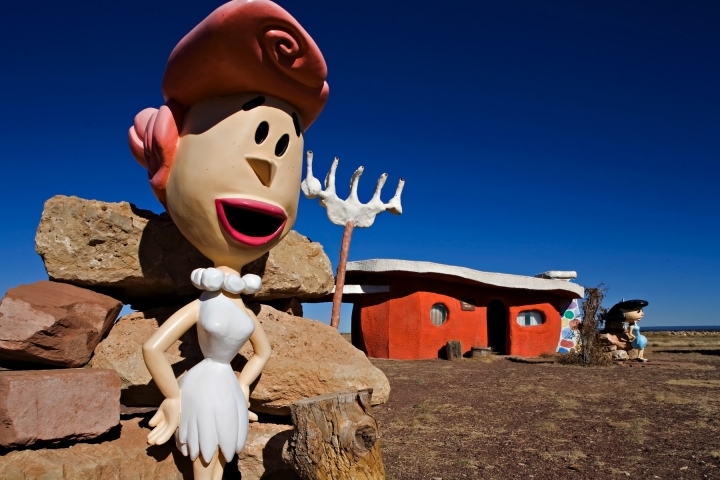 The Arizona Daily Sun reported this week that the sale of Flintstones Bedrock City, north of Williams, Arizona, officially closed Jan. 31. The stone-age village had opened in 1972 and included a restaurant, gift shop and RV park. The park about 30 miles (50 kilometers) south of the Grand Canyon will become Raptor Ranch: Birds of Prey park, a showcase for falconry. Raptor Ranch co-founder Ron Brown says the property was purchased for less than the $2 million listing price but declined to give a specific amount. Brown says most of the Flintstones structures are going. Bedrock City owner Linda Speckels has been trying to sell the property since 2015.